SAN LUIS OBISPO — The Cal Poly Accounting Club donated $5,400 to Jack’s Helping Hand, a Central Coast nonprofit organization that provides assistance and programs to children with cancer and special needs. The club raised the money at its third annual Orfalea College of Business Olympics, held Saturday, Sept. 30. This is the group’s biggest philanthropy event of the year. 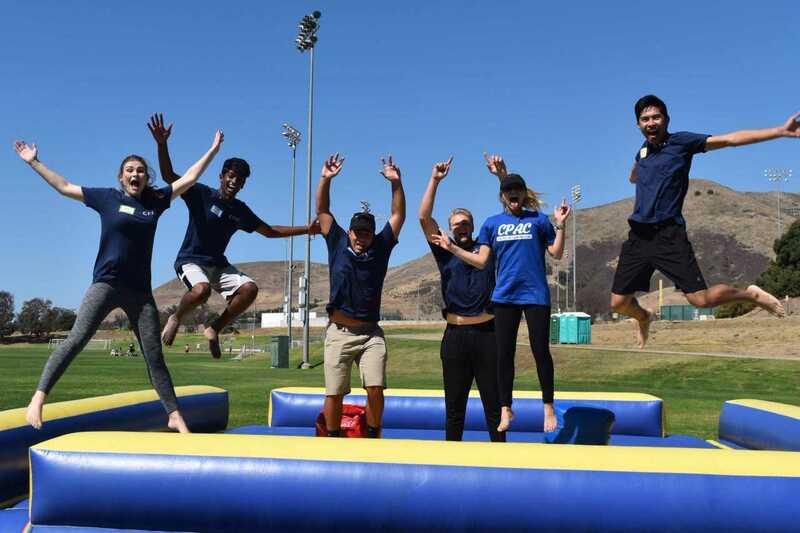 The recruiting and networking event brought together more than 100 students, alumni and accounting industry recruiters, who casually tackled obstacle courses and relay races on Cal Poly’s sports fields. The club has raised nearly $12,000 for charitable organizations since 2015, including the Alzheimer’s Association and Heifer International, a global nonprofit working to eradicate poverty and hunger through sustainable, values-based holistic community development. The accounting club provides a vital link between Cal Poly’s Accounting Area, which is recognized as a significant source of top accounting graduates in California, and industry professionals. The club hosts career fairs, professional development events, leadership opportunities and networking opportunities for its roughly 400 members. For more information on the club, visit http://www.polycpac.com. Cal Poly’s Orfalea College of Business prepares career-ready, global business leaders through the university’s Learn by Doing philosophy. The undergraduate program offers a polytechnic education in a broad range of disciplines in business administration, economics, and industrial technology and packaging. The college also offers master’s degrees in business administration, business analytics, accounting, taxation and economics. It is one of six academic colleges at Cal Poly, a nationally ranked, four-year comprehensive public university in San Luis Obispo, Calif. For more information, go to www.cob.calpoly.edu. Cal Poly Accounting Club students, from left, Laura Clode, Govind Rasmi, Shaun Rizzolo, Donald Kent, Isabelle Langlois and Gary Chan at the third-annual Orfalea College of Business Olympics held Saturday, Sept. 30.